September has come and gone — and it hasn’t quite hit me that we’re already two days into October. It probably doesn’t help that it’s felt like summer for the past week here in Omaha. I am ready for the cool weather and to break out my more fall-esque makeup products. For September I’ve kept a lot of the focus off my eyes and lips and more on my face. I’ve loved using the Clinique Chubby Stick Cheek Colour Balm with a stippling brush to give my cheeks a very natural and subtle glow. 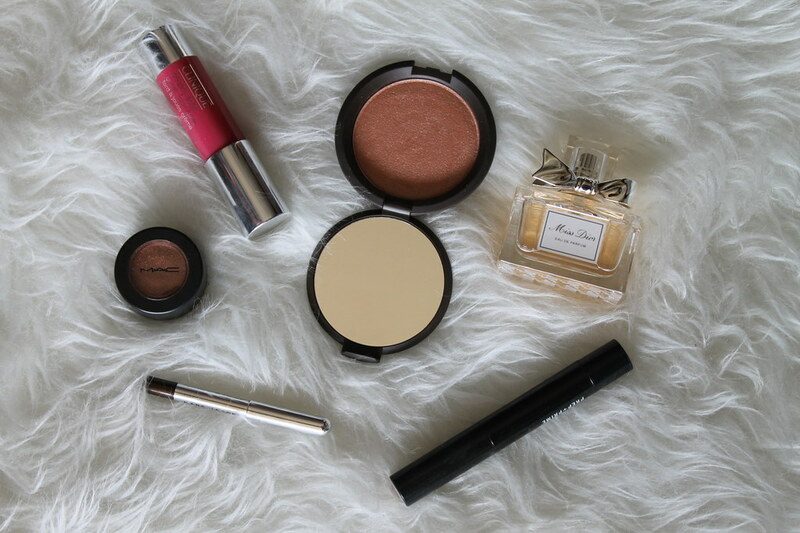 I’ve also been playing with highlights and contour more, so the MAC Prep + Prime in Radiant Rose and Becca’s Shimmering Skin Perfector in Rose Gold and Moonstone have been my go-to’s for highlighting. In terms of eye makeup, I’ve been in love with MAC’s eyeshadow in Coil from their “A Novel Romance” collection. It is the craziest formula, but the result is really cool. Coil is this burnt orange color — perfect for fall. To line my eyes, I’ve been reaching for Marc Jacobs' Beauty Highliner - Gel Crayon in Brown(Out); I got a sample size from Sephora, and once that runs out, I’ll probably purchase the full size. My go-to fall fragrance? Miss Dior — I first wore it last fall, so it reminds me of cool air, colorful leaves and warm drinks. I love when a fragrance transports you back in time.